From the basketball court in your back yard up to the top lights of the national football arena, our coolers cover it all. Let us first present you the most powerful top models we have designed, the CoolFin® and the CoolCube®. 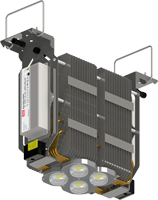 Ultra compact, light weights designs around 16 high end heat pipes, combining 4 powerful COB or LOB leds together up to as much as 100.000 lumen. The Coolfin® was designed to keep the overall height of the design as low as possible, while the CoolCube® offers a compact cubical format. Both designs can be placed under any angle what makes them absolutely unique in this field. 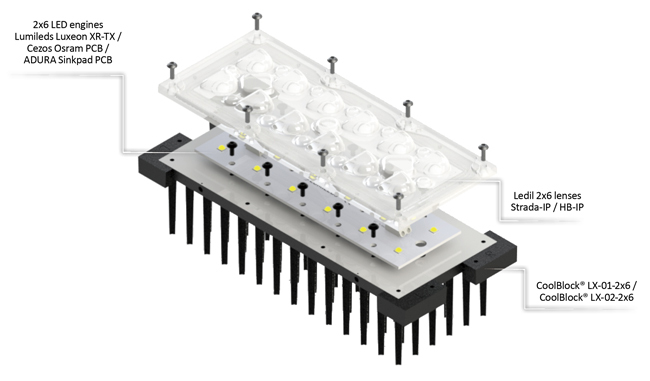 A bit too bright for you, than let's explore the patented CoolBlock® family. 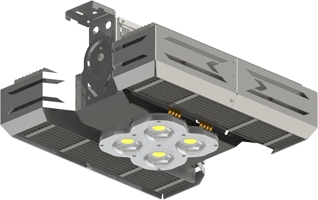 3 formats of high performance LED coolers in pin fin style, allow you to create per individual block from 4.000 lumen all the way up to 20.000 lumen. The unique pin fin design allows you to place the lights engines under tilted angle without impacting the cooling performance. 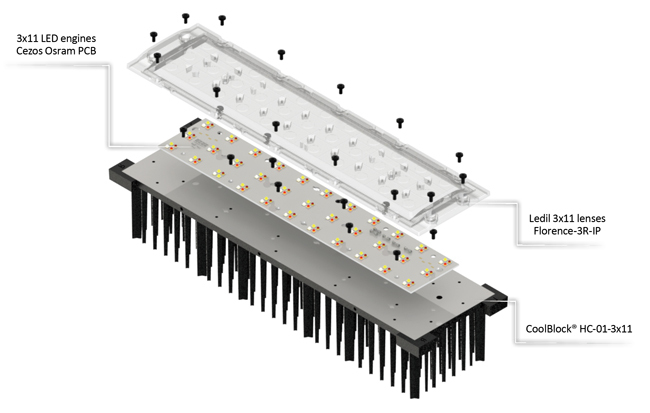 The LED boards can be found with emitters from Cree, Lumileds, Osram and a further score of A brands. The lenses are produced by our eco-partner Ledil, offering a wide pallet of beam angles. To get your back side waterproof we have developed our own CoolConnect® gland. When you look for an easy implementation we would like to advise you our CoolBeam® building kits. 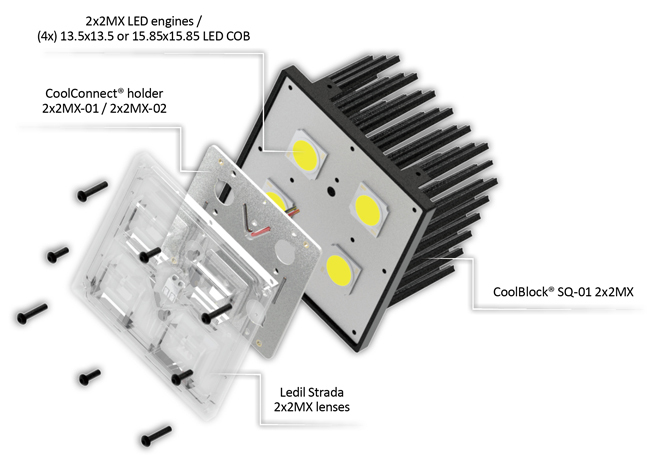 These kits around the 2x2MX platform give you a straight forward and easy assembly for your sports lights from 12.000 lumen all the way up to 48.000 lumen.